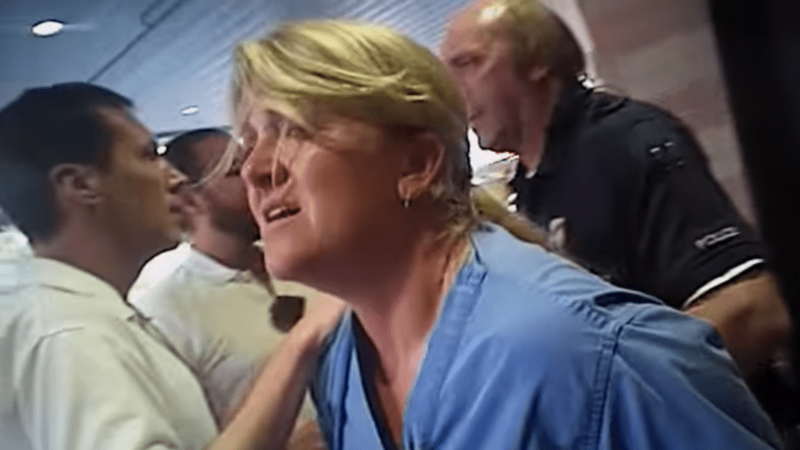 The Utah detective who violently detained a nurse after refusing to take a blood sample has been fired. A Salt Lake City police spokesman said that Jeff Payne had been fired in connection with incident on July 26th. Payne’s supervisor Lt. James Tracy has also been fired over the incident as well. The Salt Police Department called Payne’s conduct “inappropriate, unreasonable, and disrespectful”. I had posted about the incident earlier on my Facebook Page about the nurse, Alex Wubble who had released footage of the moments before Payne had detained her after she refused to draw blood from an unconscious man. In the video she can be seen telling Payne that both the hospital’s policies and the law in general prevented her from drawing blood from the suspect without the suspect’s consent. The situation arose after a collision in Northern Utah that left one driver dead and one driver unconscious. Payne had reason to believe that the unconscious driver had been drinking and had wanted to collect a blood sample to see what the driver’s BAC level was. Wubble has made several appearances on national TV and has stated that she does not rule out the possibility of filing a law suit against Payne and the Salt Lake City Police Department. Although she tweeted that she approved of Payne’s firing.